Hiring Process and Interview Preparation for Circle Logistics, Inc.
JobTestPrep can prepare you for the hiring process and online assessment tests when applying for a job at Circle Logistics. Our practice tests, study guides, and answer explanations will give you an advantage over the other candidates. Want to learn everything you can about the Circle Logistics aptitude tests and interviews? Start preparing today with JobTestPrep’s comprehensive PrepPacks™ and get the job. 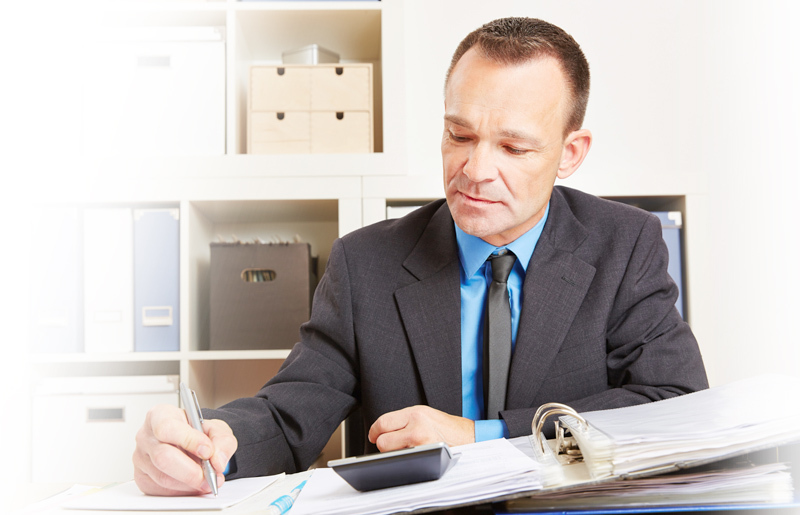 These tests are designed to assess your knowledge of basic accounting terms and principles. Our accounting test contains questions regarding accounting terms and concepts, accounting problems, comparing and checking, alphabetizing/ filing, data analysis with letters and numbers, memorization (pictures, numbers, or words), coding and coding guidelines, inductive and deductive reasoning. Accounting and bookkeeping tests are usually comprised of around 40 multiple-choice questions that focus on job-specific requirements and responsibilities. The difficultly level of these assessments varies depending on both the specific job and the job level. Most common positions to take an accounting exam are accounts payable clerk, accounts receivable clerk, and bookkeepers. The JobTestPrep Accounts Payable PrepPack™ includes questions covering cash flow, accrued expenses, inventory, etc. These types of tests usually go over general accounting concepts and terms, common accounts payable transactions, and special accounts payable transactions. Our PrepPack™ includes several full-length tests, explanations, and tips. The Circle Logistics Accounts Receivable test may cover a variety of topics such as credit terms, accounting reporting, documentation, journalization, statements and presentations, bad debts accounting, etc. Our Accounts Receivable PrepPack™ includes several practice tests and study guides to prepare you for each type of question you may face come test day. Written Expression – These questions ensure your ability to clearly express yourself in writing by structuring sentences and paragraphs properly. Reading Comprehension - These questions assess how well you comprehend written material. You will be presented with a passage followed by questions that must be answered based on the information presented. Situational Judgement – These tests are used to gauge your ability to approach real-life work conflicts and scenarios accordingly. You will be tasked with choosing the most and least effective responses, or to rank them in order based on their effectiveness. Utilizing JobTestPrep’s in-depth PrepPacks™ will easily give you an advantage over the other candidates applying for the Circle Logistics position. Our comprehensive practice materials include not only the Circle Logistics tests, but also in-depth answer keys, explanations, and study guides. Start practicing today and excel in your Circle Logistics tests tomorrow! Although important, a successful Circle Logistics interview takes more than dressing smart. Before arriving make sure to extensively research the company and the position you wish to fill. Make a list of points that highlight of your past achievements and write open ended questions to learn as much as you can about the company, division and how management operates. Remember that the interview is two ways, while they interview you, you should interview them as well. When faced with questions regarding your weaknesses, be open and honest, but also demonstrate how you resolve or work around them efficiently as possible. What Is the Purpose of the Circle Logistics Personality Test? The Circle Logistics personality test is used to measure and understand your workplace persona. These tests will give insight into your ability to learn new information, adapt to changes, as well as cooperate with your co-workers. There are technically no right or wrong answers to these tests, however, certain answers can make or break your ability to obtain the job you are after due to their effect on your overall personality profile. What Do the Circle Logistics Interview Questions Accomplish? During your Circle Logistics interview you can expect a wide range of questions from “tell me about yourself?” to more difficult questions like “why are you the best candidate for the position?”; You might even get some outside the box question like “Why are manhole covers round?” or “If you were hosting a dinner party and could invite three people, dead or alive, who would you invite?”. So, what is the interviewer setting out to accomplish? They want to get a sense of your skill base, knowledge, character and experience to assess if you are the right fit for the job and the company at large. Why Is It Important to Prepare for the Circle Logistics Assessment Tests? Preparation is key to putting your best foot forward throughout the Circle Logistics recruitment process. Preparing for the Circle Logistics pre-employment assessments will give you an advantage over the other candidates who have applied for the same position. You will be able to familiarize yourself with the test formats as well as improve in crucial areas. Circle Logistics, Inc. and other trademarks are the property of their respective trademark holders. None of the trademark holders are affiliated with JobTestPrep or this website.